As we slouch toward Gomorrah, there is a segment of our society—increasingly affecting all of our culture—that has no concept of objective moral values or delayed gratification so important for progress. It is a culture that confuses poverty with indolence, statesmanship with politics, rights with demands, and truth with expediency. 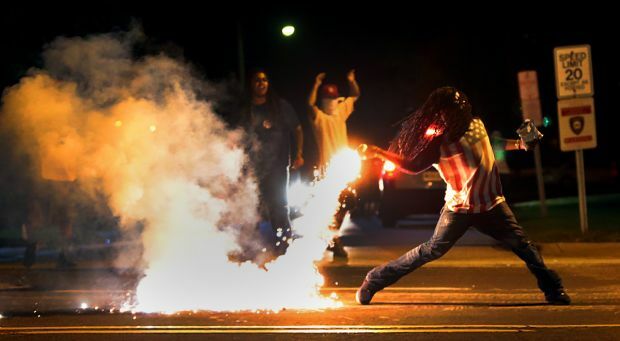 I make no judgment against either party to the most unfortunate death of the young black man in Ferguson. I trust justice to prevail. But the aftermath of the incident deserves judgment—including the comments by the Democrat governor of Missouri and the U.S. attorney general who essentially committed jury tampering, and the outrageous response by others like Al Sharpton who foment division, racism, and lawlessness. Liberals, YOU and your utopian ideologies are the cause of this mess. There are three great threats to our way of life: (1) Progressive Socialism, (2) Secular Humanism, and (3) Radical Islamism. Liberalism embraces the first two of these and is soft on the third. WAKE UP AMERICA. The author, Charles Meek, is Off Grid Blogger. He is also the editor of FaithFacts.org, one of the oldest Christian apologetics sites on the internet. He may be reached at offgridblogger@msn.com.